Mike Goss, Bob Joubert and Kane Livingstone man the barbecue. Peregian Family and Friends Association held its first social event last Friday in order to meet community demand it identified from a community survey held earlier in the year for family friendly events and to continue its aim to unite the coastal village of Peregian Beach with Sunshine Coast suburb Peregian Springs and residential community Peregian Breeze. 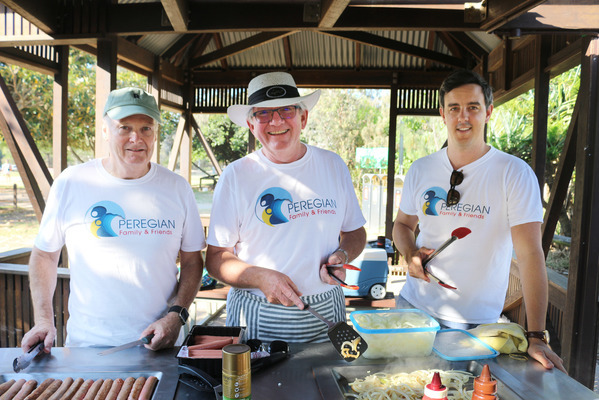 People gathered in Peregian Beach Park for a sausage sizzle, music and children’s activities and to discuss future hopes to connect the regions with a bike path. 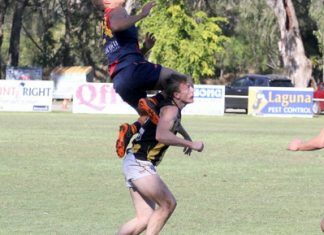 Spokesman Kane Livingstone called on the village community to be welcoming of its neighbours. “Despite some disheartening behaviour from a small minority of disgruntled residents trying to close off Peregian Beach from any non-residents, I’m pleased to provide the platform for many local Peregian families to rise above the disappointing attitudes of some, and gather together to celebrate what an amazing place we live in,” he said.